Igor Sikorsky III joins us and talks about the history of his grandfather, aviation pioneer Igor Sikorsky. Our airplane of the week is the Sikorsky VS-300. We also look at Boeing’s belief that the industry has put its cyclic business nature in the past, new fees proposed for air travelers, and the International Trade Commission report denying Boeing’s claim against Bombardier. Igor Sikorsky’s plane in front of the Bradford Camps lodge. Igor Sikorsky III gassing up at Munsungan Lake. Igor Sikorsky III is the grandson of aviation pioneer Igor Sikorsky and he conducts the annual “Sikorsky Weekend” at The Bradford Camps in the North Maine woods. It’s an opportunity to immerse yourself in the history of Igor’s grandfather with family memorabilia, stories, and videos. Igor gives us a few slices of the Sikorsky history, including how his grandfather was inspired at age 12 by a dream he had of flying over an ocean. We talk about the early days in Russia when the family entrusted their savings to him and then his time in Paris. That was the hub of early aviation where designers and other dreamers congregated to try and build flying machines. We learn about Sikorsky’s emigration from Russia to the U.S. where other Russian immigrants worked with him, sometimes without pay, to develop early aircraft. 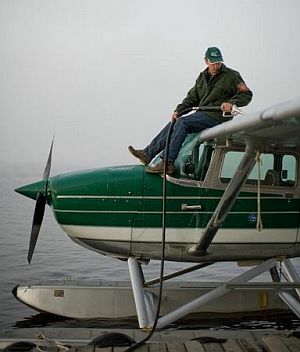 Igor is a pilot himself and owns a Skyhawk on floats, which he uses regularly to ferry visitors to his camp and to fishing spots in Maine. We talk about the unique aspects of flying in the North Maine woods, and how having an airplane is critical to the life Igor and his wife Karen lead. Igor tells us how he thinks his grandfather would have felt about the 2015 sale of Sikorsky Aircraft by United Technologies Corporation. We also learn about the Russian Imperial Stout that Two Roads Brewing Company produces each year to honor Sikorsky and Stratford, Connecticut. 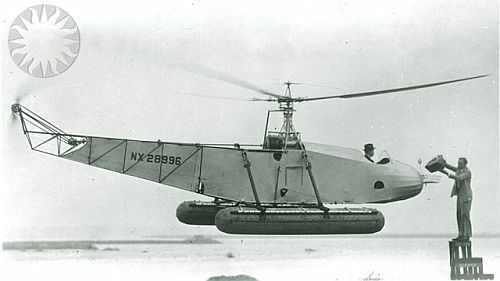 Learn more about the annual Sikorsky Weekend at The Bradford Camps website, and be sure to visit the Igor I. Sikorsky Historical Archives. The proposed 2019 Federal budget released on February 12, 2018, increases Transportation Security Administration (TSA) and Customs and Border Protection (CBP) fees, which could potentially cost consumers up to an additional $3 billion. Industry trade group Airlines for America (A4A) urged Congress to reject all TSA and CBP fee increases and instead return the billions of dollars now collected by the TSA and CBP and used for non-aviation related purposes. David tells us the history of the Vought Sikorsky VS-300 (Sikorsky S-42), the first practical helicopter in the United States and the model for most helicopters that were to come. Outtro by Bruno Misonne from The Sound of Flaps. This entry was posted in Episodes and tagged Boeing, Bombardier, CBP, helicopter, Sikorsky, TSA on February 21, 2018 by maxflight. Interviews from Heli-Expo 2017, a Boeing 797 might be in our future, a hybrid/electric powered vertical takeoff airplane is taking shape, companies attend the 2017 International Women in Aviation Conference looking to hire, some post-merger developments for Alaska and Virgin America, and a flight instructor who really was not. Also, a report on EAA at SXSW, and another memorable flight from a listener. An MI-24 was displayed at the 2017 Heli-Expo. Courtesy Cold War Air Museum. Helicopter Association International says over 17,000 people attended Heli-Expo 2017 in Dallas, Texas, with 731 exhibiting businesses and organizations, and 62 aircraft on display. Our Airplane Geeks Reporter-at-Large “Launchpad” Marzari attended the event and recorded a number of interviews. Mat Noble, U.S. Customs and Border Protection. CBP is looking to hire pilots. Apply at USAJOBS.gov and search for agency 1881. See also CBP Frontline Careers. Charles Schneider, CEO of MyGoFlight. 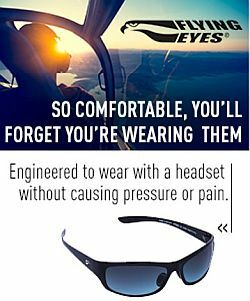 This company offers iPad flight apps and accessories, and introduced a HUD concept product. Emmanuel Davidson, President of AOPA France, talks about bringing medical certification reform to Europe for light planes, and the role of IAOPA, the International Council of Aircraft Owner and Pilot Associations. Bill Thompson from Embry-Riddle was at the show to support their graduates. John Batey from the Cold War Air Museum (CWAM) brought one of their Mi-24 helicopter gunships. The museum is located on Lancaster Airport, 20 minutes south of Dallas. Giovanni Mazzoni, AW609 program manager, describes the twin-engined tiltrotor VTOL aircraft with a configuration similar to the Bell Boeing V-22 Osprey, and aimed at the civil aviation market. And then Launchpad ran into an aviation journalist named Rob Mark. XTI Aircraft Company is teaming up with Bye Aerospace to develop a hybrid/electric powered prototype of their TriFan vertical takeoff airplane. XTI says that because of cost and weight reductions, the first TriFan prototype will be a full-size rather than the 65% scale version that had been planned. The 2017 International Women in Aviation Conference was held March 2-4, 2017 and Dr. Peggy Chabrian, president and co-founder of WAI noted that, “Major airlines have been coming to WAI for the past four years and hiring WAI members in significant numbers, but this year the companies accepting résumés seem to be more diverse. Since its merger with Alaska, Virgin America has added a number of new destinations from San Francisco. It looks like a strategy shift with Virgin America now adding mid-sized markets (as Alaska was successful doing) instead of the large-market approach that characterized Virgin America. A 25 year old man represented himself to North Weald Airfield (EGSX) in Essex, England as a pilot and flight instructor. Suspicious work colleagues investigated and found he was not. After the man plead guilty to several counts, he was sentenced to an eight-month jail sentence suspended for 14 months, 140 hours of unpaid work, and costs. Listener John tells us about his most memorable flight. 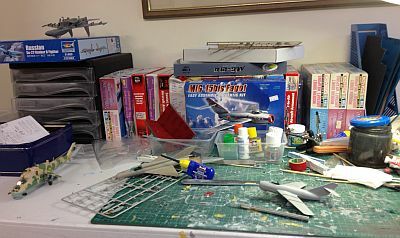 Visit AvGeekFests.com for a calendar of aviation events where AvGeeks can meet up and participate in aviation events. Episode 186 of The UAV Digest features the AOPA Senior Director for UAS Programs Kat Swain talking about why AOPA is welcoming drone pilots to the organization. After Heli-Expo, Launchpad Marzari travelled to SXSW, visited the EAA Spirit of Aviation Mobile Experience, and spoke with Trisha Rothermel. This mobile unit is sponsored by NATCA and is touring throughout the United States in 2017. See Catch the Spirit of Aviation During EAA’s Mobile Unit National Tour. Intro music courtesy Brother Love from his Album Of The Year CD. Outtro by Bruno Misonne from The Sound of Flaps. This entry was posted in Episodes and tagged Alaska Airlines, AOPA, AW609, B797, Bye Aerospace, CBP, EAA, Embry Riddle, helicopter, Museum, Mustang, MyGoFlight, Virgin America, WAI, XTI Aircraft on March 15, 2017 by maxflight. Flying a seaplane, the “right” to airline seat space, stacked passenger seats, a KC-46A Pegasus milestone, an A330 faceplant, U.S. Customs and Border Protection drones in the National Airspace, and The Air League. 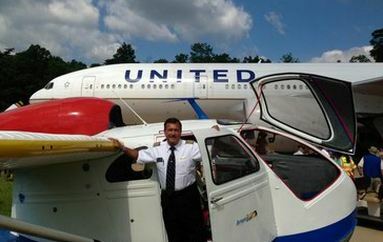 Edgar “E.T.” Tello owns and flys a Seabee, and he is also a United Airlines Captain with experience in DC-8s, B-737, B-747, B-757, B-767, and B-777. He flew T-37s and T-38s at Williams AFB and went on to C-141s at Norton AFB, and T-41s (Cessna 172s) instructing Air Force Academy cadets in Colorado Springs. Currently, Ed and his family live in Long Island Airpark, at Lake Norman, North Carolina (NC26). Ed tells us how he was impressed by seaplanes at an early age. Years later when he saw his dream at AirVenture Oshkosh, he bought it. 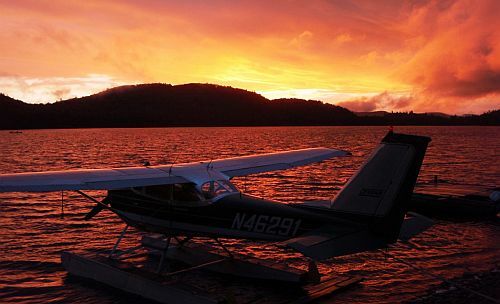 Seaplanes offer a unique unique flying experience, with the ability to land on water and pull up to the dock or a boat. Ed brings his Seabee to Oshkosh, Sun ‘n Fun, seaplane splash-ins, and other events. 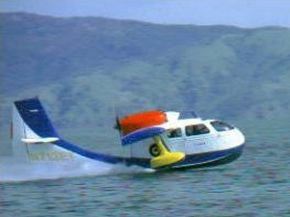 The Seabee’s high wing at the rear of the cockpit affords great visibility, and the plane is unique in that it can be reversed, but it does have heavy maintenance requirements. Ed tells us about the Seaplane Pilots Association and advocating for the type. 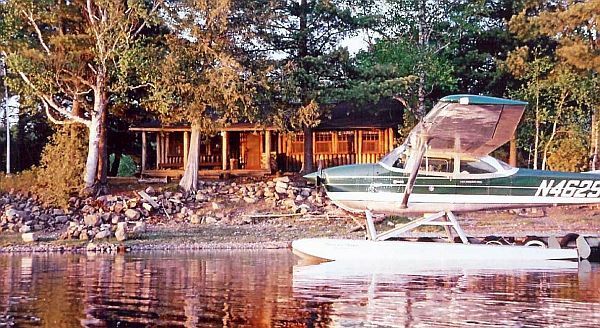 Some organizations think flying a seaplane into a lake is dangerous, and the Association takes on the task of making them aware that such flights are actually safer than a lot of other recreational activities taking place on the water. Ed also tells us about life in a residential airpark, the freedoms it brings, and he offers some advice for people considering moving to an airpark. LivingWithYourPlane.com is a helpful resource. The Beast at home. Does it get any better than this? But as we know, seat space (width and legroom) have been shrinking as airlines look to increase profitability by increasing seat density. Now, the consumer groups Travelers United and FlyersRights want to see that change. Travelers United has lobbied a government advisory committee to address the amount of space given to air travelers. FlyersRights wants minimum seat width and seat pitch regulations for commercial airlines. Are stacked seats the new plan to pack in airline passengers? Airbus has a patent application for an interior design where passengers are placed above in a sort of mezzanine. That would allow the upper and lower passengers to fully recline for sleep during flight. Is this a good idea or something crazy? KC-46A Pegasus November 462 Kilo Charlie reached a program milestone when it deployed its boom and wing mounted pods using a hose and drogue. The Boeing tanker will test the ability to successfully pass gas before meeting the requirement for 18 of the aircraft to be operational by August 2017. A Singapore Airlines A330-300 undergoing a landing gear check at Changi Airport had its nose gear retract unexpectedly, dropping the airplane to the ground. We play two clips from theUAVdigest.com interview with John Murphy, Jr., Deputy Director, National Air Security Operations for U.S. Customs and Border Protection (CBP), Office of Air and Marine Operations (AMO). John talks about how CBP operates unmanned aircraft in the National Air Space, and where CBP gets UAV pilots. Alan is also talking about non-stop flights from London to Perth when their new 787-9s come on line. Pieter brings Scott Pendry onto the show to talk about The Air League, a charitable organisation partnering organisations across the sector to help people get into aviation and aerospace. 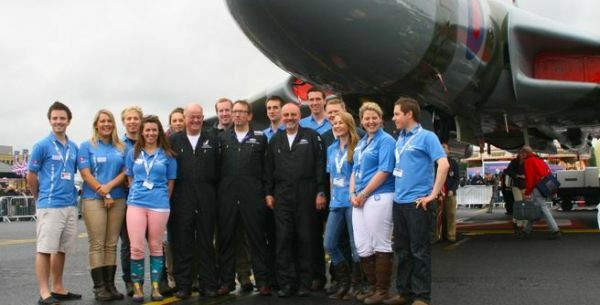 The Air League particularly helps youngsters as well as those who can not normally access aviation to get involved. If you are in the UK and want to get into the sector, you really should be involved with The Air League. They help with scholarships and bursaries too, contributing to the £1m awarded in aviation scholarships over the past decade. Follow The Air League on Twitter and Instagram. DUDE, WHERE’S YOUR GEAR?! FedEx MD-10-10F N559FE – gear-up on KORD approach into RWY 28 – Rob points out a video that suggests the pilots of a FedEx MD-10 forgot to lower the landing gear, until close to the last minute. Charles F Blair Jr.Seaplane Terminal Dedication Ceremony [PDF] – August 27, 2013, St. Thomas, United States Virgin Islands. The ICON A5 – The Only Stall/Spin Resistant Production Airplane? Opening and closing music courtesy Brother Love from the Album Of The Year CD. You can find his great music at brotherloverocks.com. This entry was posted in Episodes and tagged airpark, CBP, KC-46, seaplane, seats, Singapore on October 14, 2015 by maxflight. We talk with Ron Rapp about being a contract pilot, General Aviation user fees, the market for a supersonic business jet, GA intercepts by the Feds, a GTF engine failure, Airbus A320neo EIS, and an FAA Center of Excellence for Unmanned Aerial Systems. Guest Ron Rapp blogs at House of Rapp. He’s also a professional charter pilot with over 7000 hours. He’s flown flown more than 60 aircraft types, including tailwheel aircraft, aerobatics, formation flying, gliders, seaplanes, turboprops, biz jets, warbirds, experimentals, radials, and more. Ron has volunteered with Angel Flight, he’s written messages in the air as a SkyTyper, he’s crop-dusted with ex-military King Airs, and flown across oceans in a Gulfstream IV. Ron writes for AOPA’s Opinion Leaders blog, and his work has appeared in Sport Aviation, Sport Aerobatics, Airscape, and others. Armed U.S. Customs and Border Protection agents have been approaching GA airplanes to detain and question pilots. NPR reports that the CBP has told them this is going to change so that law-abiding pilots are not needlessly detained for warrantless searches. The GTF engine on Bombardier CSeries test aircraft FTV1 experienced an engine failure during stationary maintenance testing. Reportedly, the failure damaged the engine nacelle and fuselage. No apparent damage to the wing Bombardier has suspended flight testing, ground testing continues, and the engine has gone to Pratt & Whitney for disassembly. 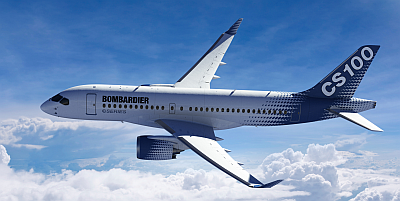 See also, New Bombardier Jet Suffers Major Engine Failure, Bombardier Confirms Engine-Related Incident on CSeries FTV1 Aircraft, Airbus says A320neo jet schedule unaffected by Bombardier engine problem, and Bombardier Sees No Impact to CSeries Schedule From Engine Fault. A few days prior to the CSeries incident, at the annual shareholders meeting in Amsterdam, Airbus CEO Tom Enders said the A320neo introduction need to be perfect so the company can meet its profitability and cash flow targets. The FAA wants to create a Center of Excellence to support their research program for Unmanned Aircraft Systems. The FAA intends that the COE study detect-and-avoid technology, control and communications, compatibility with air traffic control operations, and training and certification of UAS pilots and crewmembers. David tells us about the VCS-7, the US Navy Spitfires that flew over the Beaches of Normandy 70 years ago this week. And he brings up one of his biggest pet peeves. Rob talks about veterans and aviation. Find Pieter on Twitter as @Nascothornet, on Facebook at XTPMedia, and at the Aviation Xtended podcast. The Omega Tau Podcast by Markus Völter. Episode 148, Flying the Harrier. Two Weeks Ago, I Almost Died in the Deadliest Plane Crash Ever and Airline Pilot Guy #118. Interjet MMMX 05R ILS (belly cam video). Listen to the NBAA Flight Plan podcast from the National Business Aviation Association. Opening and closing music courtesy Brother Love from the Album Of The Year CD. You can find his great music at www.brotherloverocks.com. This entry was posted in Episodes and tagged A320NEO, CBP, CSeries, FAA, GTF on June 4, 2014 by maxflight.